Soul painting is a painting experience – you are not just painting a painting – you are taking a journey. It’s a practice in letting go, exploring color, and enjoying the painting process while you allow your artwork to unfold. You follow your intuition and just go with it. This is where our creative source works magic. Take a soul painting journey with me. Life is yours to CREATE! Together we will delight in the pure joy of creating. You’ll return to your inner child, the one who never doubted the ability to create. 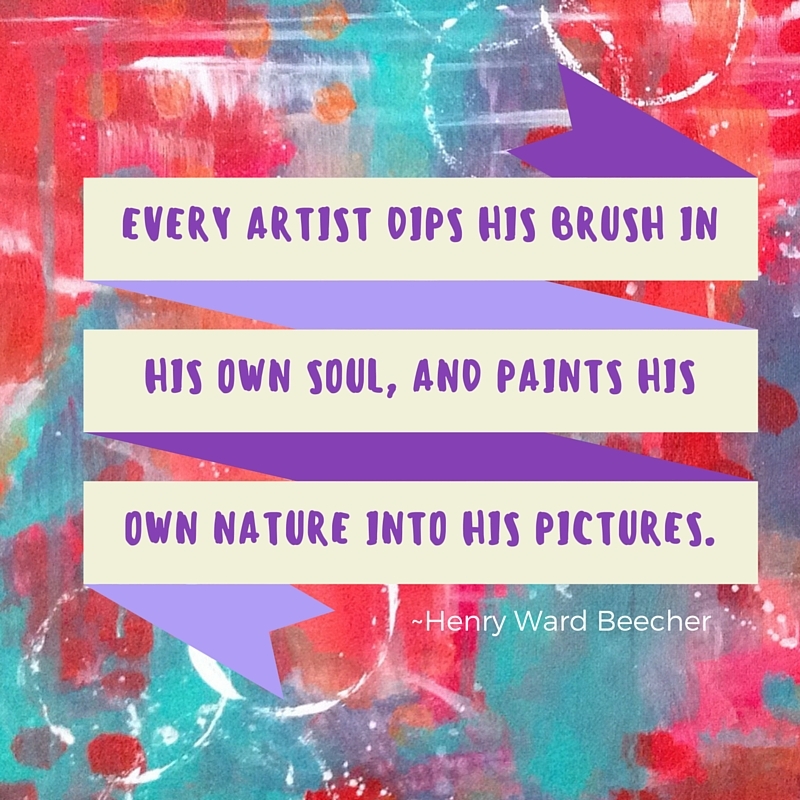 You’ll leave feeling empowered to jump into painting or other creative endeavors with your heart wide open. I will share how I tap into the magic of creative source and boost your confidence in your creative with simple tricks that will allow your personal creativity to flow. My soul painting classes are a safe, judgement-free zone to create! I guide you through a multi-layer painting process with lots of room for self expression. Embrace the opportunity to play and give yourself permission to paint with abandon. Not artistic? No worries – all you need is an open mind and a willingness to let go and enjoy the journey in an inspiring and judgement-free creative environment. No experience needed. Rise Above Book Club – Ongoing monthly art meetup. Details coming soon. Paint Yourself Zen – Experience the joy of art as meditation as you create to alleviate stress and worry and bring in peace. Tap into the healing power of symbols as you embrace painting as soul work. Each 3 week series will focus on a particular feeling and symbol. Paint Yourself Free – Experience the joy of creative freedom in this intuitive painting workshop. Tap into your inner power and inspiration as I guide you through a multi-layered, wild & free abstract painting infused with your personal colors and symbols. Mediation canvas to help you rise about your fears, doubts and worries and soar! Create sacred intentional paintings that support your dreams, self discovery and transformation. Tap into your wild joy as we play with paint and layers to create works of art with a focus on flowers, cacti, succulents, plants and trees. Tap into your wild joy as we play with paint and layers to create works of art with a focus on your dreams and creating a dream catcher painting. Tap into your wild joy as we play with paint and layers to create works of art with a focus on animal guides, butterflies and birds. Create sacred intentional paintings that support your self discovery and transformation. Want to attend a soul painting class or workshop with me? Click here sign up for email and you’ll be notified of upcoming dates. 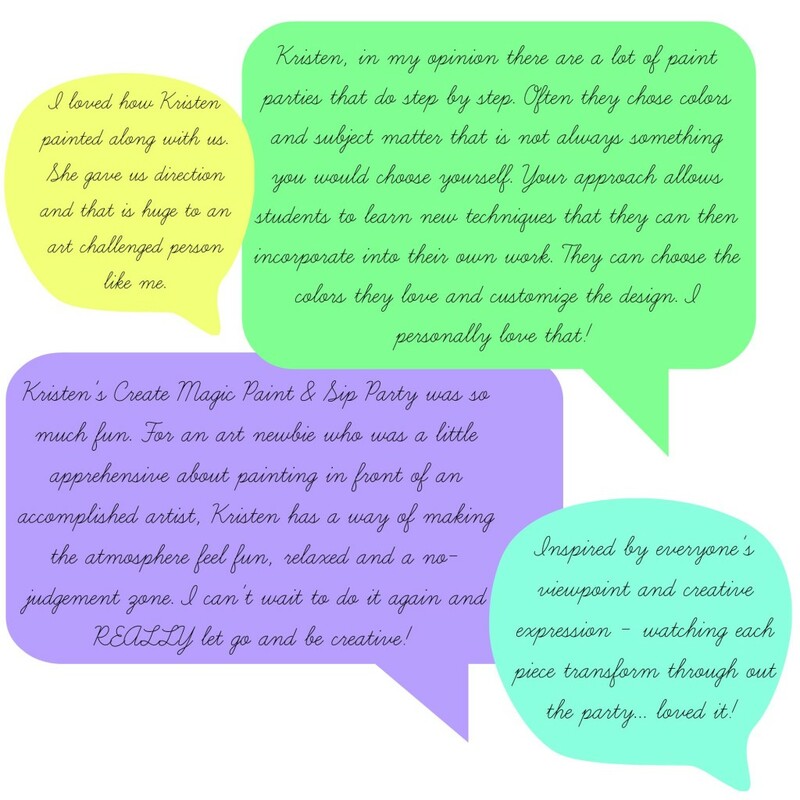 Want to host a private party (min of 4 painters) for a birthday, girls night out, community group or team building activity, email me at kristenjfagan@gmail.com to discuss your event.